Voted one of the hippest neighborhoods in the world by Vogue in 2015, Queen Street West is host to some of the best dining, shopping, and baking in Toronto. 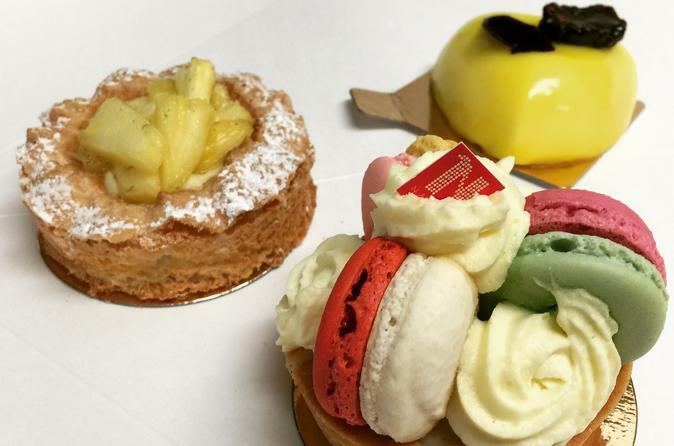 On this 2.5-hour pastry tour, you will have the opportunity to try unique sweets from the best bakeries in Toronto. While you savor these treats, you'll learn about Queen Street West and Trinity Bellwoods Park, and view some great local graffiti. You'll stop for a drink at a local café near the gorgeous Trinity Bellwoods Park. Nothing goes better with a pastry than coffee or tea. If it is warm enough, you can stroll through the park on your way to the next tasty treat. After you've had your fix, your guide will set you loose near Ossington Avenue where you can burn off your sugar high by shopping, drinking craft beer, sifting through vintage clothes, or discovering pop-up shops and galleries. This 2.5-hour tour includes 4 incredible pastries (Italian, French, Modern Eclairs, Portuguese, and Argentinian or cupcake), coffee or tea, and a polaroid picture of you and your sweets to take home.